Written by Susan Greene. 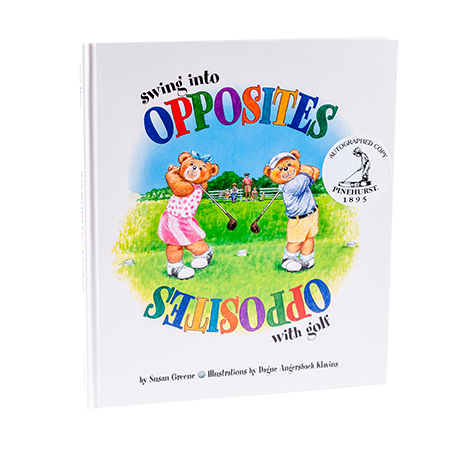 Read along with Jimmy and friends and learn about the game of golf through the concept of opposites. From fade and draw and the difference in ball flight, to dogleg left and dogleg right, swing into OPPOSITES with golf is a delight!